The Council released a statement “in light of the content” of the RTE Investigations Unit ‘Standards in Public Office’ programme, in which an undercover journalist posed as a windfarm investor seeking help from three politicians. 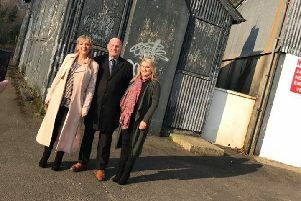 The councillors, one of which was Donegal County Councillor John O’Donnell, were filmed offering to lobby for the company in exchange for money or investment in a private business. Councillor John O’Donnell has denied any wrongdoing and said he is now taking legal advice. A number of Donegal County Councillors, including Colr. John O’Donnell, Colr Michael Cholm MacGiolla Easbuig and the Sinn Fein grouping in Donegal County Council have called for his resignation. Donegal County Council said their examination into the matters raised is being conducted in the first instance by the Ethics Registrar in the Council. You can watch the programme on RTE Player.